A phenomenal and successful director, producer and actor with great films to his credit (earning many millions and Oscar nominations), Spike Lee is no doubt a Hollywood legend. The Atlanta-born star made his name for directing movies like Malcolm, She Gotta Have It, Do The Right Thing, Inside Man, Chi-Raq, and more. What’s more special about the actor is the fact that he doesn’t jump at any story. He always picks his works carefully, hence he has done barely 50 projects but whenever he does, he surely breaks set-records. Aside from directing and producing some greatest movies of all time, the actor has also made remarkable appearances in ten of his movies and works on other projects such as TV commercials all of which has also yielded results thanks to his directorial skills. Spike was born on March 20, 1957, as Shelton Jackson Lee. He grew up along with his siblings in a comfortable African-American home though his parents were very strict with them. Having spent some of his childhood in Atlanta, Georgia, he moved with his family to Brooklyn, New York where the director joined John Dewey High School in Brooklyn for his high school education. He continued his schooling at More House College Atlanta and graduated with a BA in Mass Communication. He furthered in Clark Atlanta University where he took courses in films. The award-winning star wanted to be more grounded in filmmaking, so he furthered his education in the Tisch School of Arts graduate film program located in New York and obtained a Master of Fine Arts in film & television. Spike Lee is from an artistic and academic background. His mother Jacqueline Carroll taught as art and literature teacher and his father William James Edward “Bill” Lee III used to be a composer and Jazz musician. The couple had six children including Spike Lee, Christopher Lee, Arnold Lee, Joie Lee, David Lee and Cinque Lee. Recently they lost Christopher Lee who played Trumpet to death due to an unnamed health circumstance. 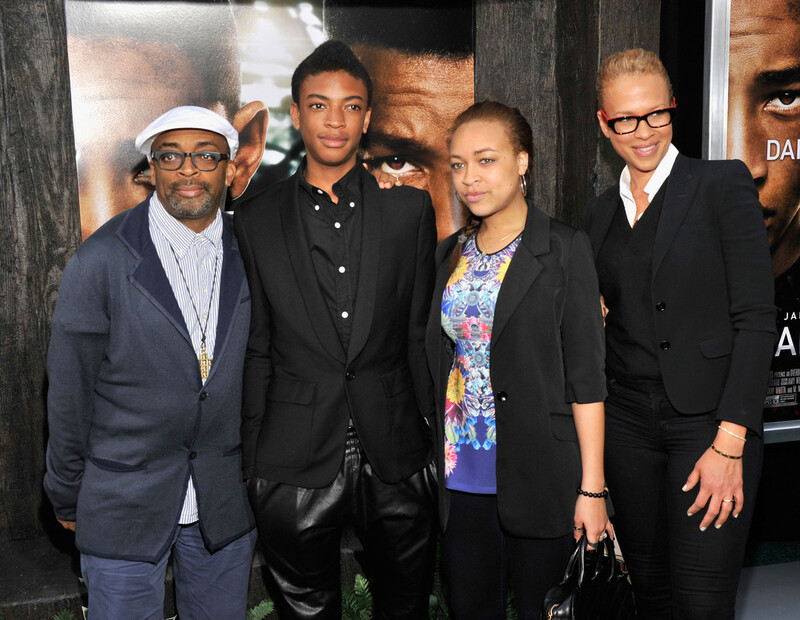 Three siblings of Spike Lee (Joie Lee, David Lee and Cinque Lee) have all created careers in the film industry having worked with Spike Lee on a great number of projects amongst them Crookklyn. Lee started making amateur films when he was barely 20. The first film he made was Last Hustle in Brooklyn, completed during his undergraduate study at Morehouse College. The outcome of the short film though was quite insignificant, Lee knew he had chosen to trail in the right direction with his experiences so far. By the time he was due for graduation in 1982, he won hearts when his thesis film, Joe’s Bed-Stuy Barbershop: We Cut Heads, earned him a Student Academy Award. Probably to help others develop this passion just like him, Lee took up a job to teach some of the things he had learned in his previous schools. He started lecturing in Havard in 1991 and in New York University’s Tisch School of Arts. Prior to this, Lee had already pursued a directorial career investing $175,000 in his first feature film She’s Gotta Have It. The films which took just two weeks to shoot became one of the most successful films produced at that time, fetching more than $7 million. From the proceeds, the actor established his own production company known as 40 Acres and A Mule. The filmmaker who isn’t new to controversy for always adding some provocative statements and introducing some of such elements in his films made a more ambitious move in 1989 developing a film that tries to represent his tough childhood in Brooklyn titled Do The Right Thing. The comedy-drama was a huge success, becoming a regular name on the list of the greatest films of all time. The film earned reputable award nominations such as Academy Award nominations for Best Original Screenplay and also won Danny Aiello Best Supporting Actor Academy Award nomination for his remarkable role as an owner of a pizzeria named Salvatore ‘Sal’ Frangione. In the early 1990s, after the success of the film featuring Lee, which expresses disapproval at racial relations more films followed and they include Malcolm X and Mo’ Better Blues. The legendary film director didn’t stop to focus on social and political issues, adding Summer of Sam and She Hate Me to his filmography. His film 4 Little Girls, that chronicled the 16th Street Baptist Church bombing in 1963 won an Academy Award nomination in 1998. The new Millennium came and Lee’s career couldn’t be dampened. He continues to win several honors and has produced more remarkable works. His mid-2000s film as Inside Man, a crime thriller is also easily remembered for its exceptional story-line. The documentary When the Levees Broke: A Requiem in Four Acts with a theme about the consequences of the fatal Hurrican Katrina and life in New Orleans was also a win for the filmmaker. Amongst the many great documentaries by Lee are Kobe Bryant and Michael Jackson, and a remake of the Korean revenge film Oldboy. One of his recent films, Chi-Raq, an adaptation of Aristophanes’s Lysistrata became the first feature produced by Amazon Studios. In 2015, he was given an honorary Oscar at the Academy of Motion Picture Arts and Sciences’ annual Governors Awards. Lee has also gone beyond directing films to direct TV commercials. Most of the commercials he directed ended excellently and he has worked for big clients such as Converse, Nike’s Air Jodan campaign, Taco Bell and Ben & Jerry’s. With his long success in the film industry, it is expected that Spike Lee’s income will be as huge as other well-grounded colleagues. And yes, his net worth is millions of dollars precisely $40 million. Well, relentless efforts sometimes pay off, good thing Lee can tell this first hand having put in great work since his young age. Lee is married to Tonya Lewis Lee, a lawyer, actor, and businesswoman. The two fell in love in 1992 and tied the knot the following year. They have two children including a daughter and a son (born in 1994 and 1997 respectively). Their names are Satchel and Jackson. It appears Lee shines at holding tightly onto his wins as he has done well in holding his family together ever since his marriage. This has made him not to fall victim of divorce or infidelity stories. The saying “you attract what you are”seems to hold water for the couple. Lee’s wife, Tonya also works just as hard as him. She is also a filmmaker and has produced, acted and written some great works for television; Nickelodeon. Her works primarily focus on women’s health as well as those of children. Spike Lee is not super tall as he is only 5’5″ in height (1.65m), which is slightly shorter than 5ft 10 – the general height regarded as average for an American man. But his body stature which he maintains perfectly compensates for what he lacks in height; not to mention his well-defined athlete body despite his age. Also, the handsome actor’s dark hair and eyes with fine grey bears are further features that audiences can’t stop admiring.